Joel's Jottings: The Movie, 'Padmavati' - Historical Fiction or Historical Documentary? It was in 'Chandamama', the once-famous monthly magazine of children's stories, that I had first read the story of Rani Padmavati of Chittor. Somehow, I vividly remember two images from that story. One image of an Allaudin Khilji looking at Rani Padmavati with an evil-ish grin, through a mirror, while he was talking to her husband. And the other of Rani Padmavati, with some women behind her, getting reading to jump into a huge fire, in order to commit Jauhar, after she discovers that her husband has been killed in a battle with Khilji's troops. Then, many years later, it was in our Hindi language class, at our degree college, that I'd learned more about Allaudin Khilji, one of the most powerful-and-brutal sultans of 14th century Delhi. And also about his courtier Amir Khusrau. I remember our Hindi lecturer telling us that Allaudin Khilji was a great patron of arts. And that he promoted poetry, music, painting, and sculpture, with great enthusiasm. But as our lecturer was addressing the Bhakti and Sufi Movements of 13th and 14th century India, he'd obviously focussed on explaining to us the artistic expression of those times, and of the Sultan's courtier Amir Khusrau, with other artists. Our lecturer did not tell us about the sultan's brutal wars, or about the thousands of Rajputs massacred at sultan's orders. But, I now know that it is a historical fact, from many sources. We had learned then, mainly, that Amir Khusrau was a great Sufi musician regarded as the "Father of Qawwali" and a great exponent of 'Ghazal', 'Ruba'i' and 'Tarana' forms of music. And that Amir Khusrau was also instrumental in the invention of tabla in the 14th century (pun unintended). But now, the controversy surrounding the yet-to-release Bollywood movie, made me discover and learn more. Since the last few days, it is through the cyber-battles I am following on Internet - surrounding the controversy that I learnt more about Rani Padmavati . Amir Khusrau was a historian too, albeit controversial. And that much of what we know of the Khilji dynasty of the 13th and 14th century - and of Allaudin Khilji - is known from Khusrau's writings. Some of his writings were corroborated by his contemporaries, many of whom were actual historians; and then again, by many others later. According to historical records, somewhere around 1302-1303 CE, Alauddin Khilji had dispatched an army to ransack the Kakatiya capital Warangal. Alauddin Khilji himself had then led another army to conquer Chittor, the capital of the Guhila kingdom ruled by Ratnasimha (Ratan Singh). Alauddin captured Chittor after an eight-month-long siege. This too, is a historical fact. 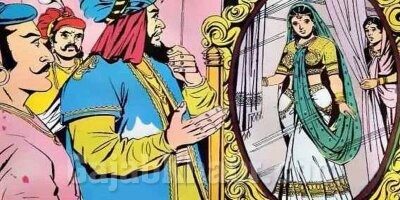 Alauddin Khilji invading Chittor to capture Ratnasimha's beautiful queen Padmini, is actually a legend which had come out much later. 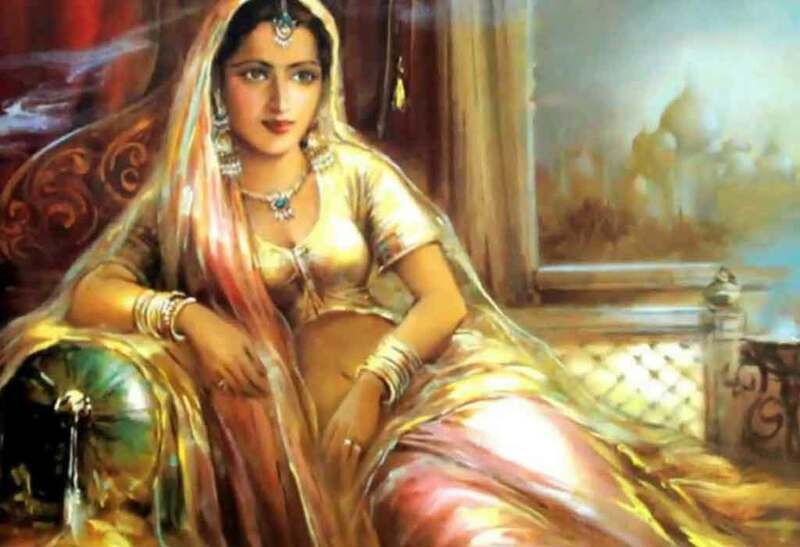 The existence of Queen Padmini, in the history of Rajput tribes, is completely unknown. There is tons of historical information on Rajput warriors, their conquests, and their losses, with corroborative references. But nothing of Rani Padmavati. This 'padmavat' is composed by an Awadhi artist named Malik Muhammad Jayasi. Padmavat was written some 230 years after Allaudin Khilji's attack on Chittor. According to the poem, a man called Raghav Chetan, who had seen the Queen's legandary beauty, provokes Allaudin Khilji to go to Chittor, to see her for himself. Padmini herself was originally from Sri Lanka/Sinhala, according to the story. Modern historians have rejected the authenticity of these legends/myths. Rani Padmavati is a fable that - I believe - has attracted us for centuries, because we see in it: beauty, desire, greed, passion, envy, plotting, murder and tragedy. According to a Financial Express article from two days ago, "An Archaeological Survey of India (ASI) board at the entrance to ‘Padmini Palace’ in Chittorgarh carries this legend: “It is said that here Mahrawal Ratan Singh showed a glimpse of the legendary beauty of his wife Rani Padmini to Alauddin Khilji through a mirror. After which, Alauddin Khilji went to the extent of ravaging Chittaur in order to possess her” (Financial Express, 17 November 2017). So, quite clearly, we can see that even archeologists of ASI used the words "It is said" to indemnify themselves from giving misinformation on history and archaeology. But, the biggest surprise I found is this. Now, therefore, what is my view on this controversy? I think the controversy is completely senseless. A mockery of our intelligence. Shockingly, I now hear that Rs 10 Crores has been announced for the beheading of actress Deepika Padukone, who played "Padmavati" and also for the movie's Director Sanjay Leela Bhansali. They are taking this controversy to ridiculous heights! All sane minded individuals must condemn this crazy passion and rage! And the government must issue a warning and arrest those making such out-rightly murderous statements. History cannot be learned from fictional movies. When writers/directors say that their book/movie is fiction, why worry? A case in point is Dan Brown's book 'Da Vinci Code', which angered many Christians. The book is 'fiction' said the author. But, as had cleverly woven his story with some historical facts and some contemporary facts, it had become controversial. A lot of fiction is based on reality, but we should not think everything in it is real. Padmavati is a myth, a legend, a fable. Thinking that it is anything more is foolishness. I am happy with one aspect of this controversy. That the really sensible people will seek the truth. Hopefully with a spirit of scientific inquiry. Let us enjoy the movie, if and when it releases. And tell the people that there is a difference between Education and Entertainment. In historical documentaries and historical fiction. And that, sometimes, we get great value from many perspectives of historical fiction. Was Amir Khusrau a Historian? Examining his Work in a Contemporary Framework?